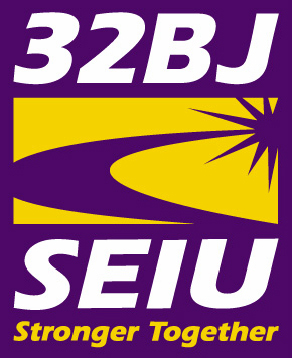 32BJ SEIU is one of the largest and most dynamic labor unions in the East coast, with over 163,000 members in twelve states and Washington, DC. The Union is at the forefront of building the nation’s labor movement, supporting progressive candidates for elected office and moving a broad policy agenda, including campaigns to guarantee living wages, promote responsible development and expand access to health care. Its parent organization, the Service Employees International Union (SEIU), is the nation’s largest labor union. District 615 – located in Boston - is committed to building a strong Union based on membership participation and leadership development. We are looking for a bilingual person to work as Field Representative with the Commercial Division of 32BJ SEIU, District 615. Within 32BJ, the Field Representative is an internal organizer, building the movement for social and economic justice by identifying, recruiting and developing leaders and carrying out the program of the union. Field Representatives increase the strength of the labor movement by leading member trainings and facilitating members’ involvement in all aspects of our work. The Field Representative performs a wide range of duties, which may vary according to the needs of the overall program or a specific campaign. This is a full-time position that reports to the Boston office. Produce basic written materials for members and develop a plan for its distribution. Enjoy interacting and building working relationships on a daily basis with members from all backgrounds in the janitorial industry. Demonstrated ability to work independently and be a self-starter who will take initiative to drive the local’s program goals, as well as work effectively as part of a team. Previous experience in the labor movement and/or demonstrated interest in union workers’ rights. Candidate must have valid driver’s license and car with insurance as driving is required. Some overnight travel to other East Coast locations is necessary. Please send résumé and letter of interest to: HR@seiu32bj.org. 32BJ SEIU is an equal opportunity employer.